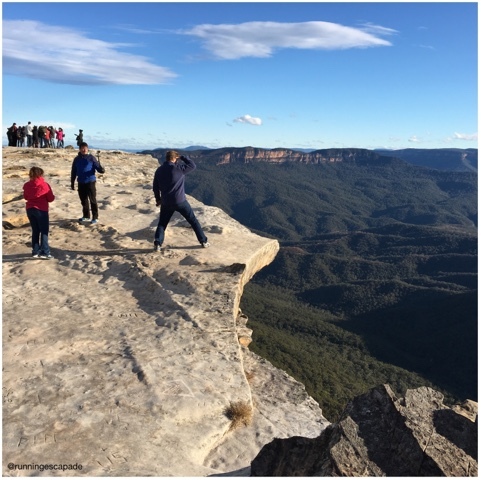 Many, many people told us to go see the Blue Mountains if we got a chance while in Sydney. For our last day, that is exactly what we did. After a snafu regarding the pickup location, caused by booking agent not the company, our tour guide from Oz Tours made his way through Central Business District to pick us up. We did a quick drive-thru of Olympic Park. I don't have any pictures because we never got out of the bus, but the story of how Sydney turned a wasteland into an Olympic venue that continues to thrive as a suburb is pretty amazing. I found this video that tells the story in case you want to see for yourself. 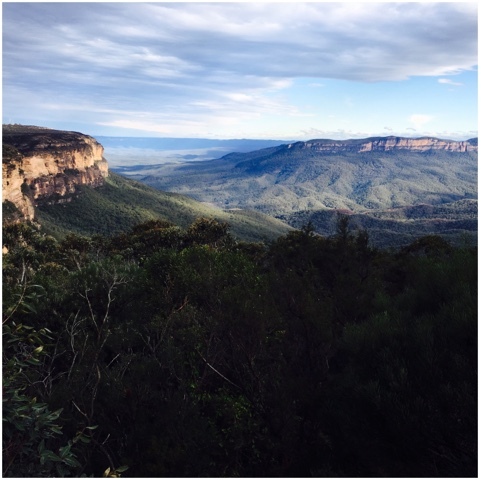 After a brief rest stop on the Nepean River, we arrived at the edge of the Blue Mountains at the East Station. 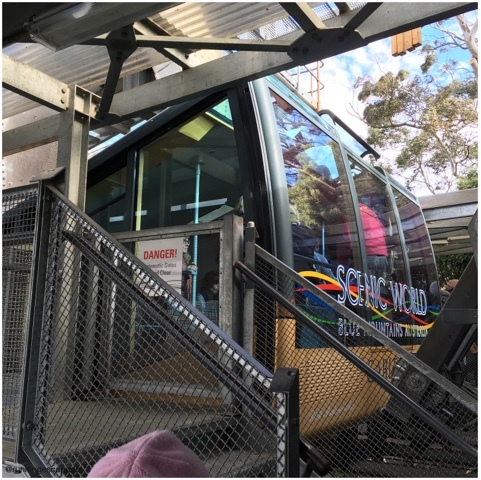 Part of our visit included the Scenic World experience. 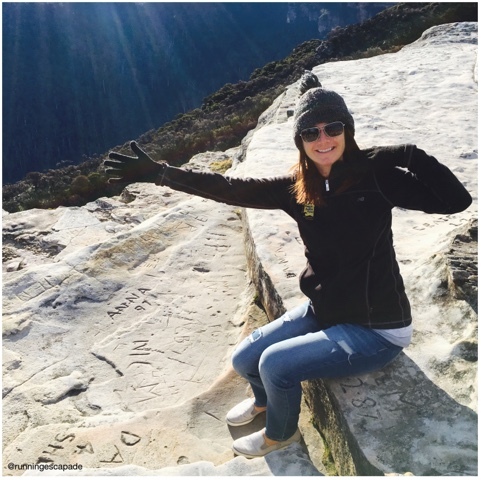 Our first experience was floating between cliff tops 270 meters above the valley on the Scenic Skyway. 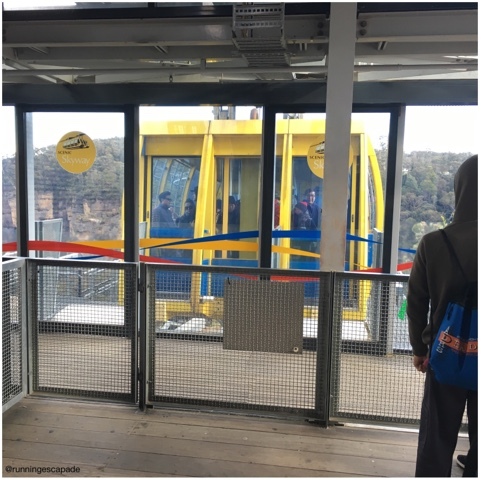 The car was crowded, so at times it was hard to see out the windows, but the glass floor let you see everything below you! We got our first glimpse of the Three Sisters rock formation as we were crossing. 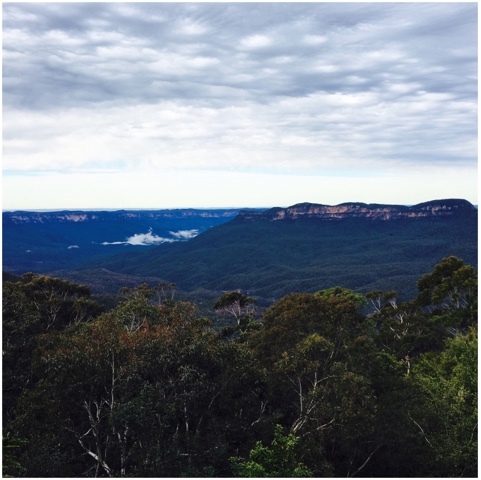 From the Scenic World top station we took the Scenic Cableway 545 meters down into the Jamison Valley. We managed the front row on this one and had amazing views going down. 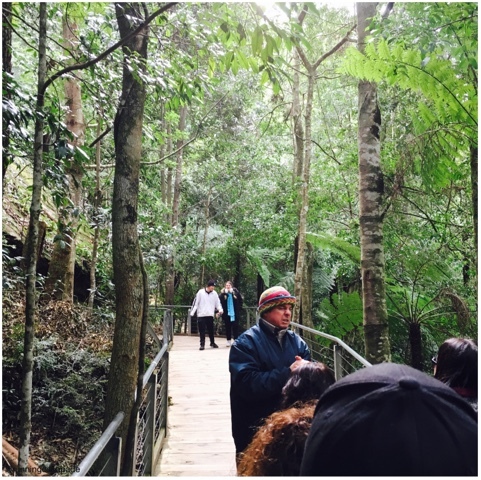 Our Oz Trails tour guide led us on a short walk along the Scenic Walkway, the longest elevated boardwalk in Australia, through part of the Jamison Valley rainforest. It was nice to have a narrated tour, but if we were not on a day tour there was a lot more to see on the 2.4km of walkway. 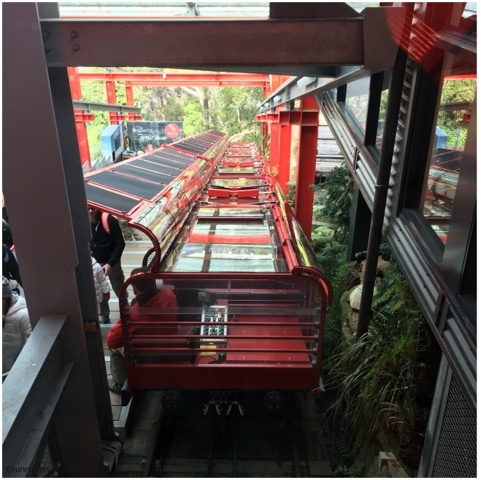 Our return to the top was at a 52 degree incline on the Scenic Railway, the steepest passenger train in the world. This was a little scary! 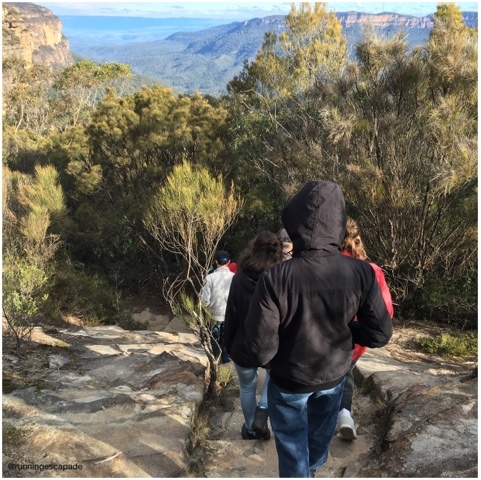 As much as I enjoyed the Scenic World "rides", one of the best parts of the Blue Mountains was the bushwalk to see the waterfall. 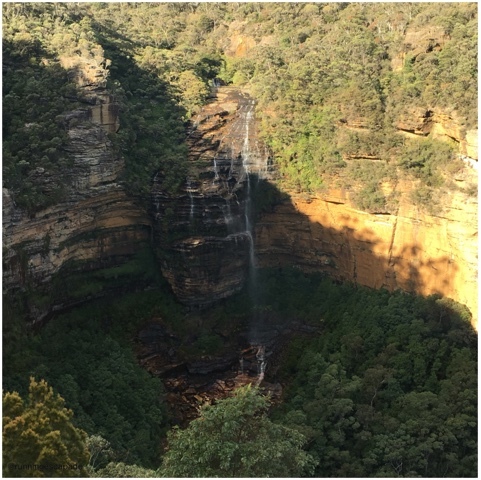 The viewing area was pretty small, but the Wentworth Falls were breathtaking. There are many hiking/walking trails around this area. I would have loved to spend more time exploring and getting closer views of the falls. We also stopped at Lincoln's Rock, previously called Flat Rock or Wedding Rock, it was officially renamed in 2013 after Lincoln Hall. Hall lived in the mountains for twenty years, but was known for having survived a night near the summit on Everest after being left for dead. We definitely had amazing panoramic views of the mountains from here. 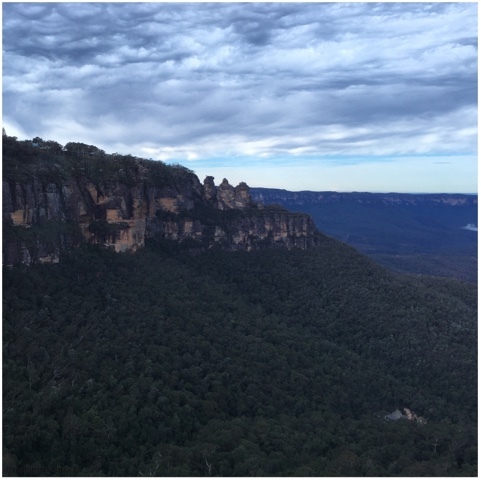 We ended our day in the Blue Mountains with a sunset harbour cruise back to Sydney. 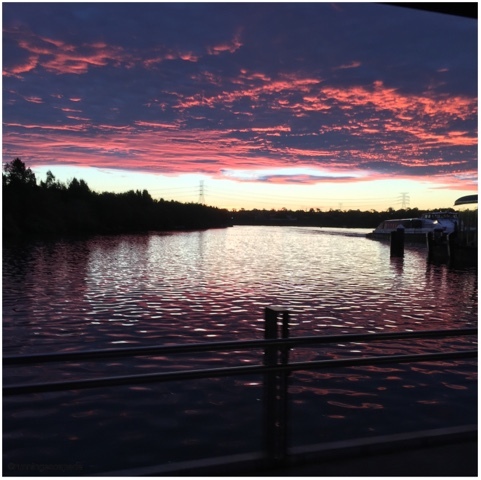 The sky was already turning pink when we arrived at the boat. 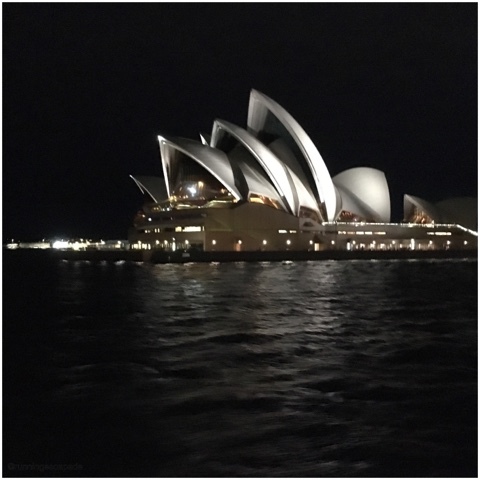 It was a treat to see the iconic landmarks at night. 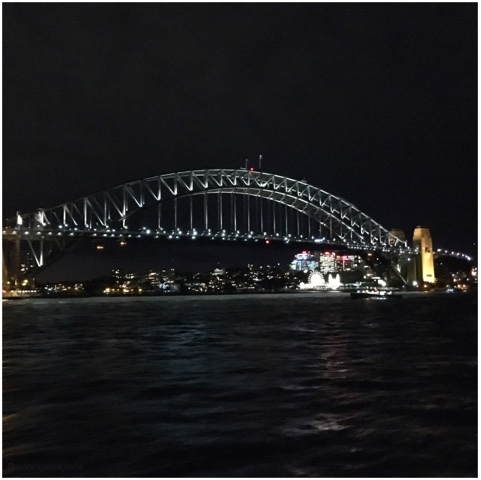 We disembarked at Darling Harbour and after a quick bite to eat, we said good night to Sydney for the last time.